Back in the summer of 2010, Mike went on a 40-day fast. God revealed much to him during that time, and over the months that followed, he began to share some of it with Freedom Church here in Barnstaple. Meanwhile, Jeremy had been looking at social media and blogging in another context, and in September 2011 began to sense that God was inviting us to use those newly available means to make that revelation and teaching available to the wider church. So we set up this Sons Of Issachar blog, the @FreedomARC Twitter account, and the Facebook Page. Later on we also began posting on Google+ and Pinterest, and added a YouTube channel, a Freedom Apostolic Resources website and our structured introduction to living in the dual realms of heaven and earth, the Engaging God programme. Here on the blog, 15 months in, we finally wrapped up Mike’s teaching on the Prophetic Timetable. That series closed with the 40 Characteristics of the Joshua Generation, which seem to have been widely shared and appreciated around the world. 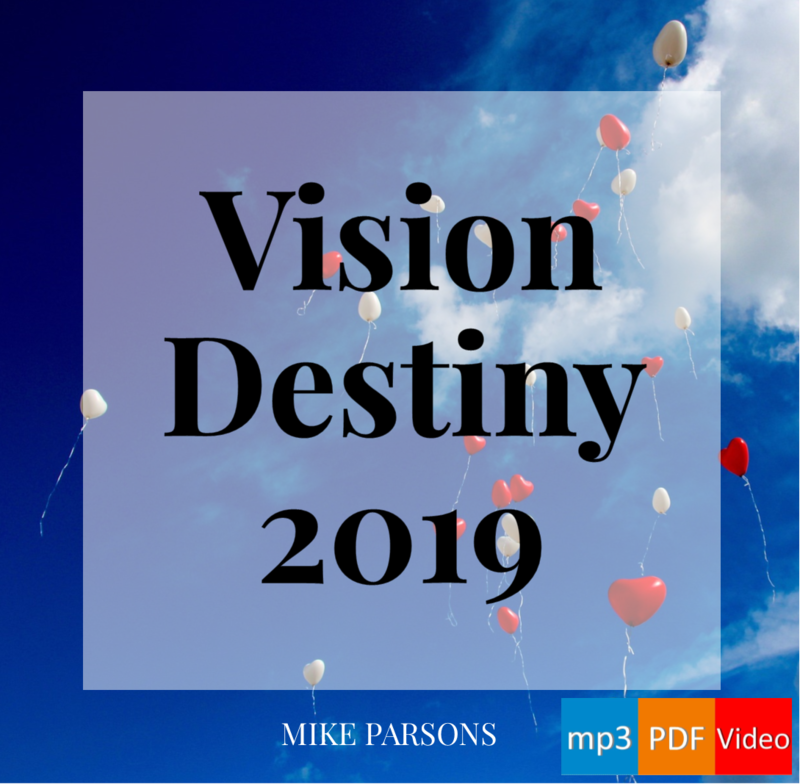 Towards the end of that, Mike began to open up some further revelation about how we can obtain access to the realms of heaven, and why we need to do so. In this next ‘Kingdom Realms’ series, we would like to explore some of that in more detail, and to encourage you as you read to step into the realms of heaven and experience this for yourself. [June 2017: If you want to keep up to date, the most recent posts on this blog will reflect what God is currently doing among us. You can usually catch the audio of Mike’s latest message at Freedom Church from mid-afternoon on the Sunday it is taught. Just visit our Freedom Church website home page, scroll down and click the ‘Mike’s latest Sunday teaching’ link. There’s a different link for the times other people speak. You can purchase recordings of many of Mike’s recent and historic teaching series from our website too. Please set your mind at rest, and let your spirit lead. We are not going to ask you to do anything that is not firmly rooted in Jesus. Jesus is the Logos Word, and you need an ever-deepening relationship with Him. The Bible is an introduction to Him, a springboard from which you can encounter Him. It is only by experience that you can truly know Him: and it is that experience that we want you to have for yourself in increasing measure. And the angel of the LORD admonished Joshua, saying, “Thus says the LORD of hosts, ‘If you will walk in My ways and if you will perform My service, then you will also govern My house and also have charge of My courts, and I will grant you free access among these who are standing here” (Zechariah 3:6-7). At that point Joshua is in the heavenly realms, not on the earth, and the others standing there are heavenly beings. This is where God promises Joshua that he can have ‘free access’. But there are conditions. Since God does not show favouritism (Rom 2:11), we know that if we fulfil those conditions, the same offer is open to us. And in those conditions we can see a distinct progression. Walk in His ways; perform His service; govern His house; have charge of His courts: then we will be able to stand in His Presence in a different realm. He revealed His ways to Moses, his works (or His acts) to the children of Israel (Psalm 103:7). Moses knew the ways of God. There was a reason for that: He was prepared to risk engaging with God, to meet with Him face to face, when the rest of Israel kept their distance from the fire and the smoke on the mountaintop. It is not an easy thing to get to know God’s ways. But He invites us to come as Moses did, into the heavenly realms, into His Presence, into His glory. Remember how Moses asked God to show him His glory, how God passed by before him and he was not able to see God’s face, but only what the King James Bible calls His ‘back parts’? Now, when we read that with a Greek (western) mindset, we probably think it means he saw God’s physical back. Whatever would God’s back look like? But with a Hebrew worldview we understand that what Moses saw was history, the things God had done, everything that had happened up to that time. That is how Moses was able to write the first five books of the Bible, including the story of creation and all the other events which happened before his lifetime. But the rest of the nation of Israel did not go up that mountain, and all they saw was what God did. They saw His works, they saw His miracles, but they didn’t really begin to understand who He is, what He is like. God is inviting us to do as Moses did, so that we can know His ways. And when we know His ways, we can do the works that He does. Moses performed miracles. He brought water out of the rock: he used his staff, he exercised power. Israel just received. The whole nation saw the works, but none of them ever actually did the works like Moses did. Jesus said that He did what He saw the Father doing (John 5:19): and He expects us to do the works He did (and greater ones). If we are to walk in His ways, we first have to know His ways. To do the works of God, we need to know the ways of God. Then we can be among those who bring the kingdom from heaven to earth. The Logos Word of God will be a safeguard for us, to keep us in the truth. The Word of God will be an anchor for all we do: Jesus is the Logos Word of God, the living Word. He is the exact image and likeness of the Father. If we have seen Him, we have seen the Father. If we get to know Jesus in relationship we can get to know the ways of God. The ways of God reveal His character, so it is really important for us to become familiar with His ways. If we look at Psalm 119, the first 40 verses in particular speak of His word, ways, testimonies, judgments, law, precepts, statutes, ordinances, commandments, and wonders. If we will meditate on those facets of His revelation, we realise they are all different, and that they each express some different aspect of His character. Meditation on scripture is really key for unlocking this. We, beholding as in a mirror the glory of the Lord, are being transformed into the same image from glory to glory (2 Cor 3:18). As we meditate on a Bible verse or passage, what is written becomes a doorway to experience, and we become what we behold. And the more we behold, the more we become like what – or whom – we behold. We are transformed. That word is ‘metamorphosed’, like a caterpillar changing into a butterfly. A change in its DNA takes place. Meditation like this can transform us that deeply. Similarly, as we receive the DNA of God in breaking bread, the light comes into our DNA and we are changed. We need to hear the rhema word, the word that God speaks right now, straight to our heart. When we meditate on scripture, we can receive a rhema word as the Holy Spirit teaches us and draws out for us a message which speaks to us in our situation. And we can also have face-to-face encounters with God where He speaks a word to us directly. When that happens, we will know it is God because that revelation will line up with the truth of His nature that we already know: God is love. While we learn to recognise His voice for ourselves, we can use love as our plumbline, our standard. If it is not love, it is not God. If you go back to the first 40 verses of Psalm 119 again, you will see another set of words which express things we need to do in order to know and experience and press into His ways. Those are words such as: walk, observe, seek, look, treasure, tell, rejoice, meditate, establish, delight, live, long for, cling, run, incline, reverence, and give thanks. Again, there are yet other words in those verses which describe how God will respond to our walking and seeking: He will bless (that is, He will empower us to prosper, to succeed to the highest level), ordain, teach, open eyes, rebuke, take away reproach, revive, answer, strengthen, grant, enlarge our heart, give understanding, and deal bountifully. These are some of the pathways and the protocols, the processes we will need to follow if we want to fully experience and demonstrate the life of God. We need to take the time to read and meditate on scriptures like these for ourselves. Why not use the ‘Leave a Reply’ section below to share the insights you receive when you do, and encourage others? How can I get in touch with you? I have not heard nothing about your ministry impacting Spanish talking peole in Puerto Rico or other countries in the Caribbean, Central and South America. Please don’t forget about us. I am so eager to know more please call 787 996 1137. Thanks !! Mike Parsons (The source of the blog you are responding to )is currently in North America doing speaking engagements.I think that’s exciting so who knows , it may be very soon that there is a greater exposition of this in your country.At any rate there is the website http://www.freedomarc.org. Thank you for your response. But I Just can’t wait not been part of this revelation!!! Please let me know a telephone to call or an email so I can make arragement to fly over their or receive someone. Who knows if God is involve in this and is trying to reach us. Thanks!!! When Mike returns from his ministry trip and his vacation (this will be mid-June), I will ask him to make contact with you about your desire to impact Puerto Rico with this message. @jeff this blog is awesome, we need this teaching in Puerto Rico and other hispanic countries. We are working on making translatons into Spanish. I’ll let you know when we are ready to publish ! Blessed: we shure do need it in Puerto Rico and other Spanish Talking countries. Hope is available soon.